It's so easy to pot up a few healthy vegetables. In today's world you need all the help you can get when it comes to feeding your family healthy food. 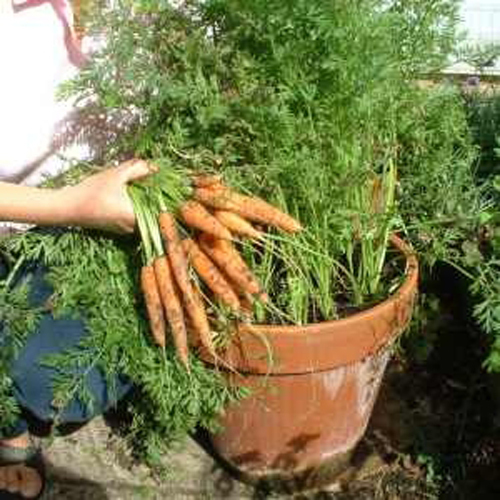 Well here's a few types of vegetables that are easy to grow yourself. Energizer: Carrots are rich in carotenoids, plant compounds that are shown to improve blood sugar control to ward off tiredness. Who doesn't need that? People with a higher carotenoid intake had slimmer waistlines, plus less subcutaneous fat - the jiggly surface kind - and visceral fat - the hart harming type. So, get a nice large clay planters and get going. 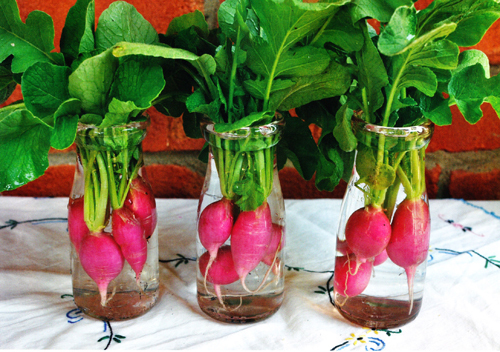 Detoxifier - Radishes help cleanse the body of energy draining toxins. These veggies are natures top source of glucoraphasatin, a unique phytochemical that boosts the activity of detoxification enzymes in the body. They delivery molybdenum, an antioxidant mineral that helps fight free radical damage. Go to your local garden center and get them. Immunity booster - Turnip roots and their greens are high in vitamin C. This powerhouse antioxidant strengthens immunity, wards off weight gain and eases anxiety. The credit goes to C's ability to reduce levels of the stress hormone cortisol. 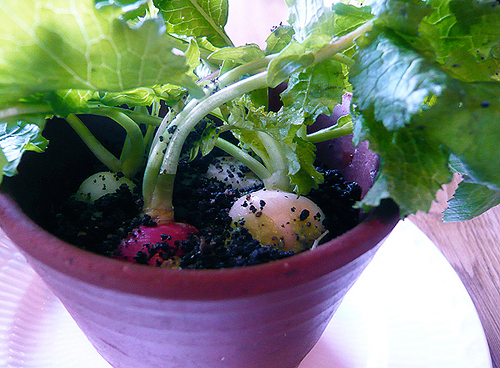 These are just of the few vegetables that you can pot and grow at home. Not only will they add food to the table, create better health, and add color and fragrance to your garden or patio area, but they are fun to grow! Read more.....What to plant now!